Spending a significant amount of time in a city like Rome can be daunting. 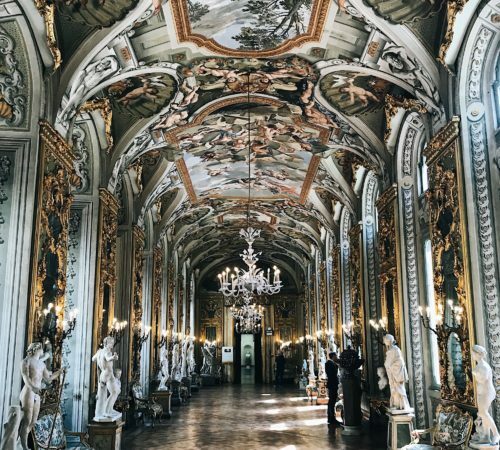 The energy and rhythms of the caput mundi can invigorate a traveler’s soul while simultaneously wearing it down like 2,000 year old travertine. 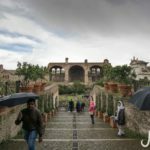 Rome’s quiet escapes, enchanted with light and history, make the jittery bus rides and lengthy queues worthwhile. 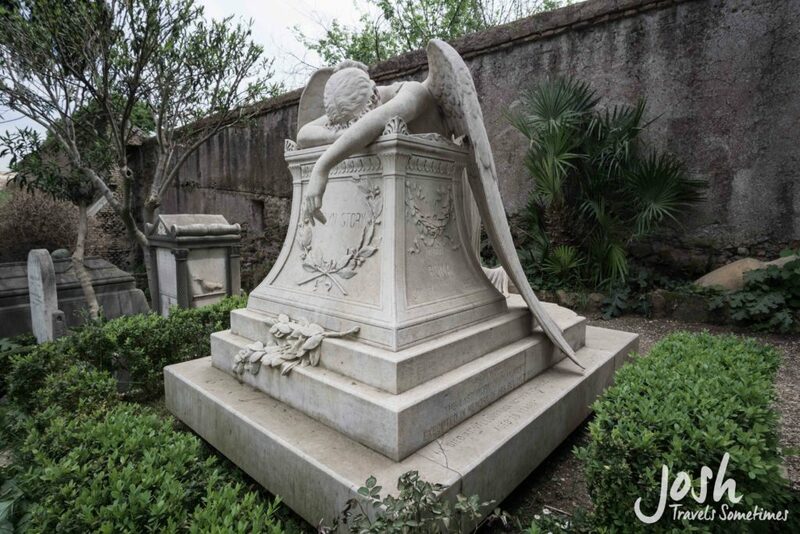 One special place, chief among Rome’s silent havens, is the Non-Catholic Cemetery in Testaccio. From Piramide metro station, Ostiense train station, or the Number 3 tram line, it cannot be missed; an enormous pyramid incongruously struts from the urban landscape, the final resting place of the wealthy Egyptophile Gaius Cestius built around 12 BC (“Who, then, was Cestius, / And what is he to me?” Thomas Hardy would some day remark). 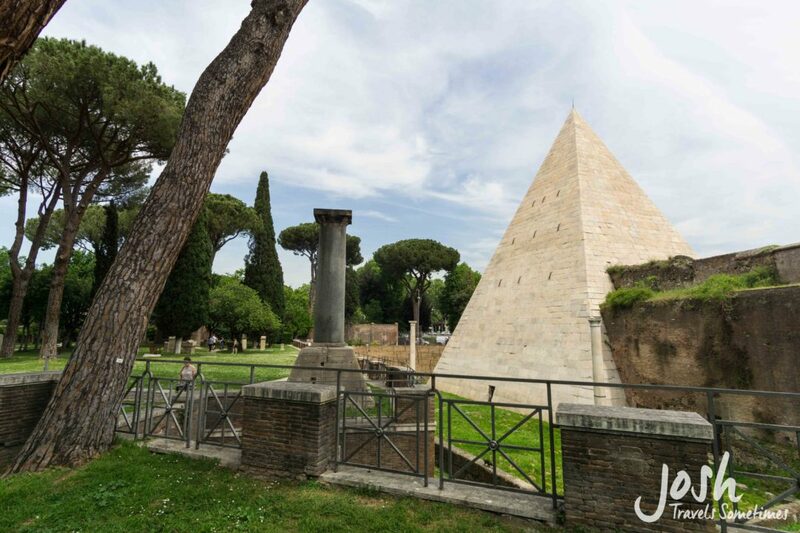 The pyramid survived antiquity thanks to its inclusion in the Aurelian walls, Rome’s 3rd century fortifications that to this day define your taxi fare to the airport (€48 flat to Fiumicino from WITHIN the walls and metered outside, FYI). 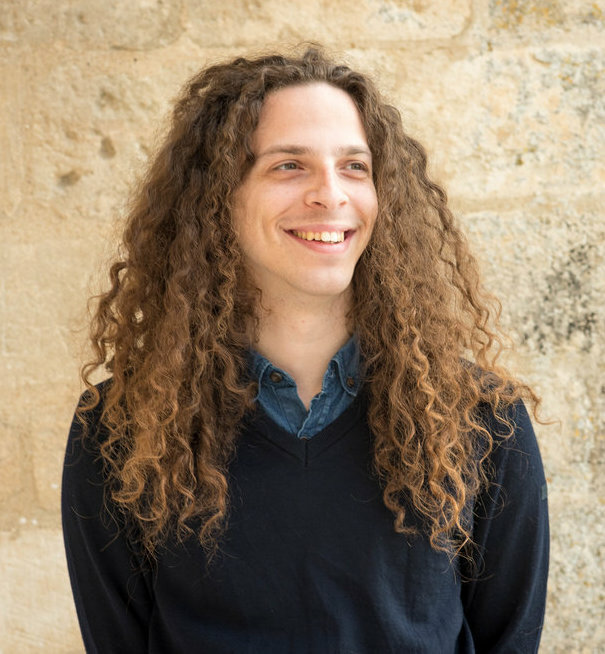 The pyramid captured the imagination of the young and wealthy Grand Tourists of Europe who saw in its overgrown landscape a pastoral wonderland of antique sublimity. 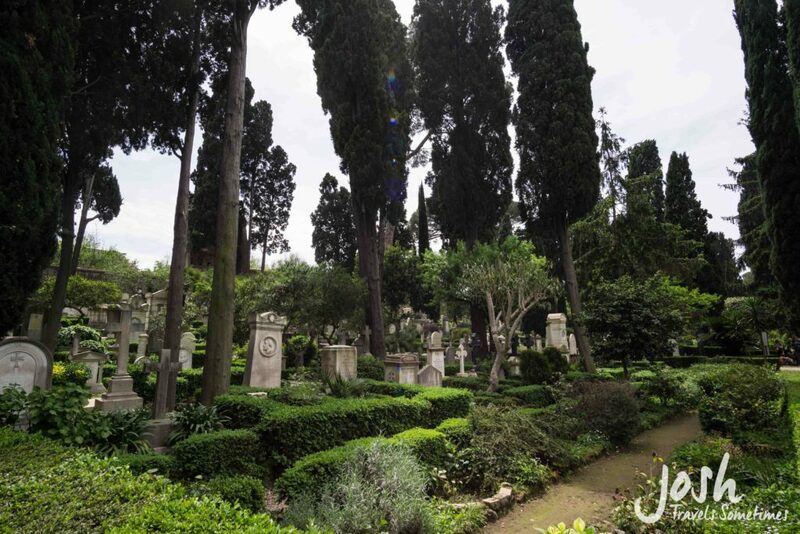 Eventually a cemetery was established on the grounds for these same foreigners and expatriates, many from Protestant countries, who could not at the time be legally buried within the confines of Papal Rome. The Cimitero Acattolico is the final resting place of some important figures in literature, history, and art including the English Romantic poets John Keats and Percy Byshee Shelley (two personal heroes of mine), painter Joseph Severn, the American sculptor William Wetmore Story, and August von Goethe, the only son of German uberautor Johann Wolfgang von Goethe. 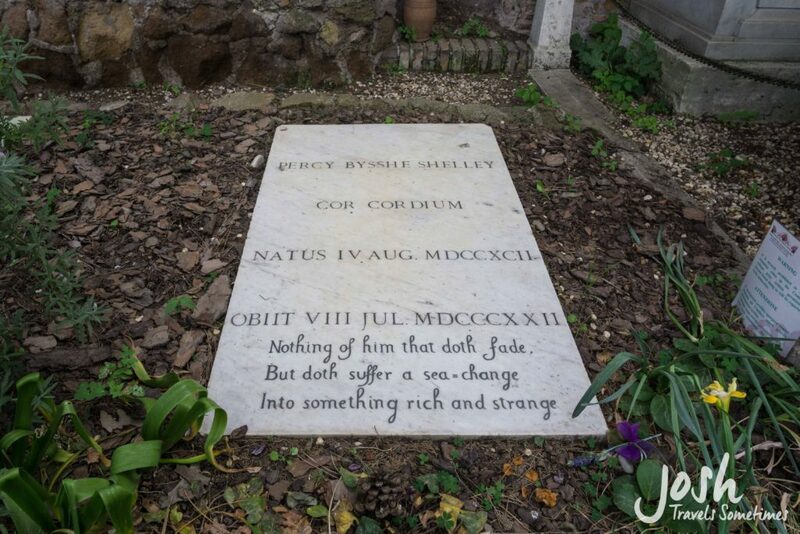 Shelley’s humble tombstone (with Shakespeare inscription) at the top of the cemetery. His ashes (sans heart, which is another story entirely) were interred here after the poet drowned tragically off the Ligurian coast. 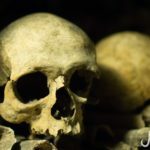 Whether you have a few minutes to spare or an entire afternoon to kill, the Non-Catholic Cemetery is a must-see for literary-minded and healthily-morbid individuals. The private cemetery asks a €3 donation for the upkeep of the grounds and the stray cat sanctuary at the base of Cestius’ pyramid (you won’t find a worthier cause that side of the Tiber). -Shelley describing the Non-Catholic Cemetery of Rome, likely not expecting the prophetic power of his musings. 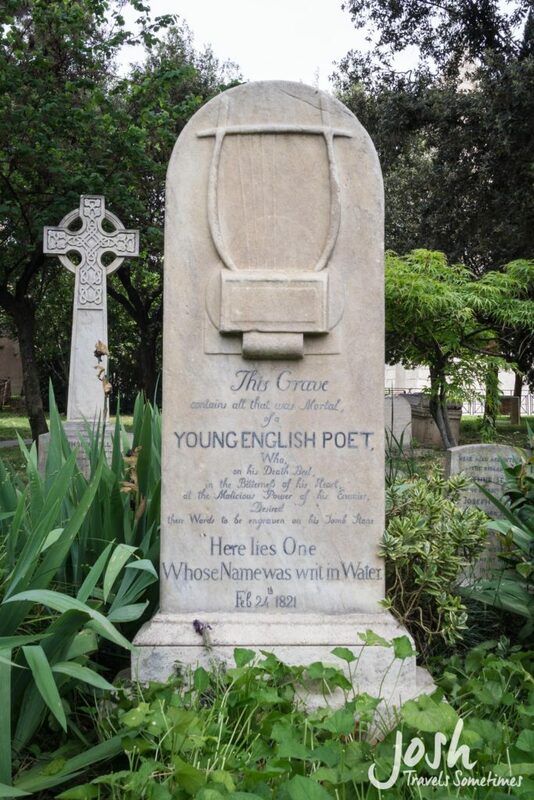 The grave of John Keats, who came to Rome’s moderate climate in an effort to sooth the symptoms of his tuberculosis. His final home, at the base of the Spanish Steps, is now home to the Keats-Shelley Memorial House. 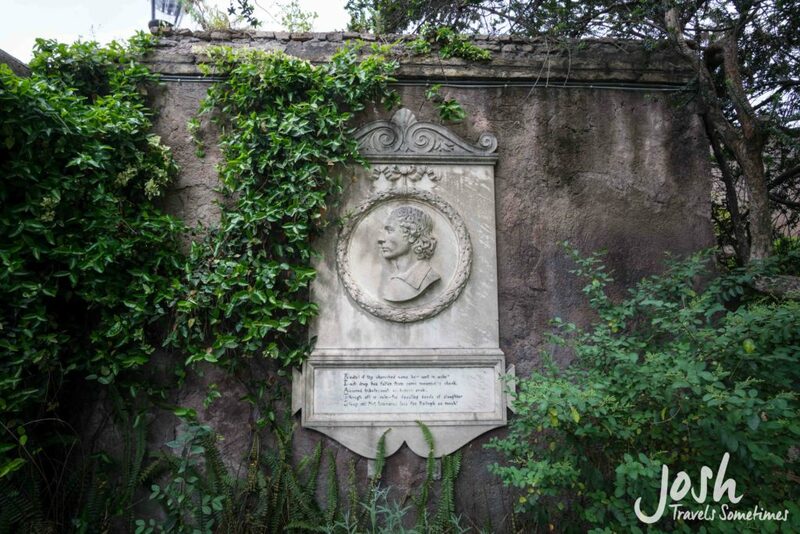 Oscar Wilde, upon visiting Keats’ grave, remarked that this was the holiest place in Rome. Memorial verse and cameo portrait of Keats. W.W. Story’s oft-imitated Angel of Grief. 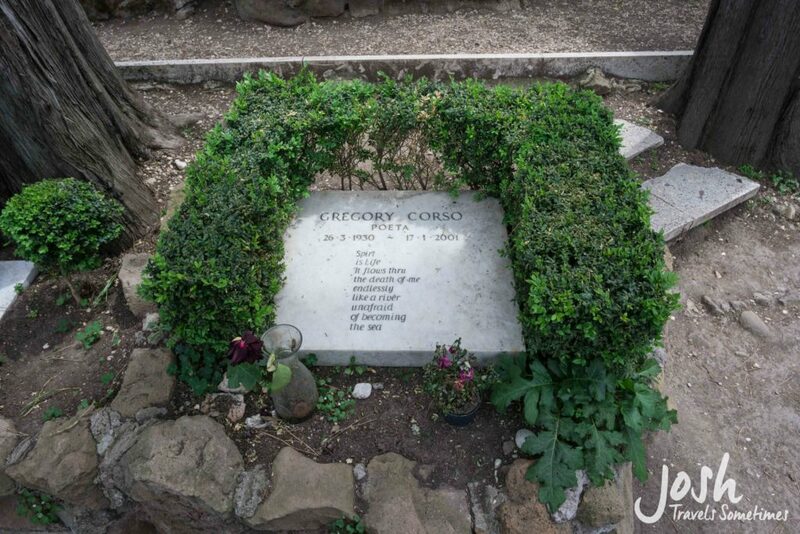 The grave of the American Beat poet Gregory Corso, feet from Shelley’s grave. 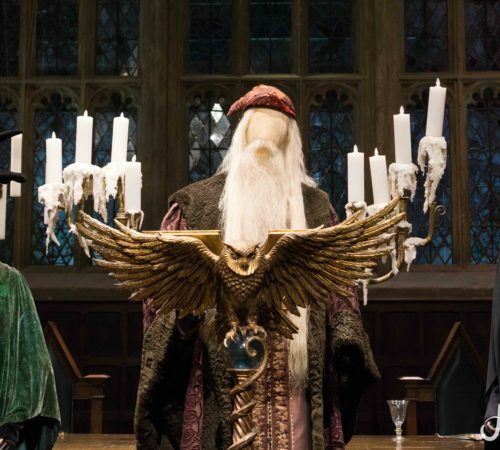 Welp, I need to clear some time to read up on all your recent travels. Or by a ticket to Rome, as your writing has effectively filled me with awe and wanderlust for all things musty and historical. Thank you, sir. As an aside, do the taxi driver’s charge the same rate when they are driving on the sidewalks as they do on the streets? Mi sono schiantato con la macchina contro la Vatican! Mi fa cagare!